1) The review has to be in English somewhere in the Internet (we are not going to store the actual review). If the original is in a medium other than the English language, then have it translated and send us the link. 2) The review has to have been posted in a non-academic source, preferably in a reputable mass media outlet. We will also accommodate blogs, videos, etc. but our preference is for the author of the review not have an active academic affiliation. This rule will be applied at the discretion of the general editor. So no harm in sending a link for consideration. Till Time’s Last Sand: A History of the Bank of England 1694-2013 by David Kynaston (2017; Bloomsbury) for Kirkus (September 17, 2017). John Kampfner for The Guardian (September 12, 2017). Robert Skidelsky for Prospect Magazine (September 11, 2017). Iain Martin for The Times (September 9, 2017). Peter Thal Larsen for Breaking Views (September 8, 2017). John Plender for Financial Times (September 1, 2017). 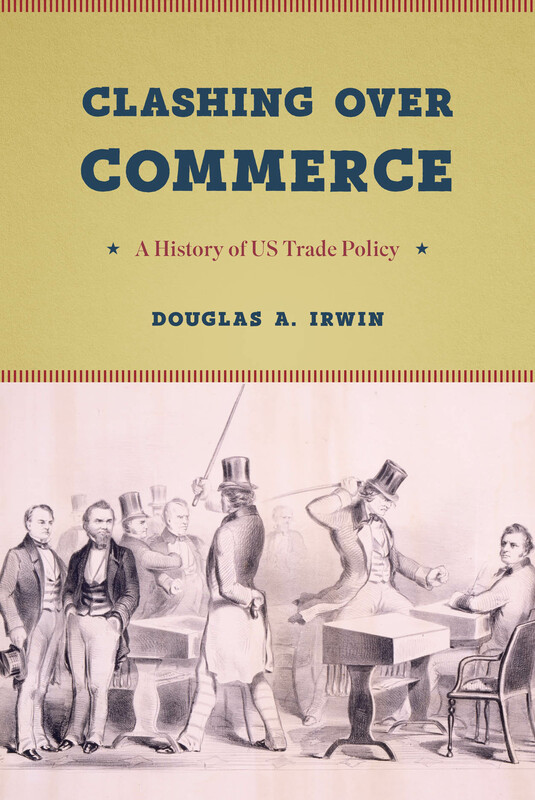 Clashing over Commerce: A History of US Trade Policy by Douglas A. Irwin (2017; University of Chicago Press) George Melloan for The Wall Street Journal (November 28, 2017). for The Economist (November 23, 2017). Fashionability: Abraham Moon and the Creation of British Cloth for the Global Market by Regina Lee Blaszczyk (2017; Manchester University Press) Sally Clifford for The Telegraph and Argus (November 22, 2017). Sarah Freeman for The Yorkshire Post (November 11, 2017). 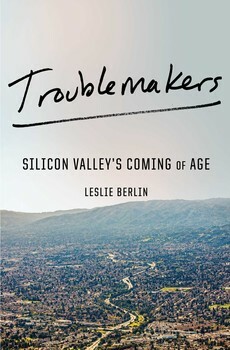 Troublemakers: Silicon Valley’s Coming of Age by Leslie Berlin (2017; Simon & Schuster) Michael Moritz for The Wall Street Journal (November 17, 2017). Nitasha Tiku for Wired (November 17, 2017). Jonathan A. Knee for The New York Times (November 10, 2017). Levi Sumagaysay for The Mercury News (November 6, 2017). Stephen Phillips for SFGate (November 3, 2017). for Publisher’s Weekly (October 16, 2017). for Kirkus (September 15, 2017). 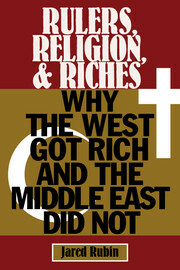 Rulers, Religion, and Riches: Why the West Got Rich and the Middle East Did Not by Jared Rubin (2017; CUP) Christopher Kissane for The Guardian (August 4, 2017). [with thanks to Miesje de Vogel]. The Kelloggs: The Battling Brothers of Battle Creek by Howard Markel (2017; Pantheon) Jonathan A. Knee for The New York Times (August 8, 2017). for Publisher’s Weekly (August 8, 2017). for Kirkus (August 8, 2017). Michael Upchurch for Chicago Tribune (August 7, 2017). Katherine A. Powers for Newsday (August 7, 2017). Matthew Price for Boston Globe (August 4, 2017). Jenkins of Mexico: How a Southern Farm Boy Became a Mexican Magnate by Andrew Paxman (2017; Oxford University Press) Kai Ryssdal and Emily Henderson for NPR Marketplace (July 26, 2017). Dolia Estevez for Forbes (May 2, 2017). for Booklist (April 15, 2017). Paid: Tales of Dongles, Checks, and Other Money Stuff edited by Bill Maurer and Lana Swartz (2017; MIT Press) Rebecca Spang for Financial Times (July 6, 2017). Before Babylon, Beyond Bitcoin: From Money that We Understand to Money that Understands Us by David Birch (2017; London Publishing Partnership) Rebecca Spang for Financial Times (July 6, 2017). for The Economist (July 1, 2017). 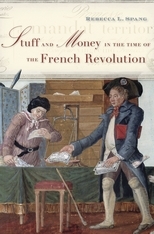 Stuff and Money in the Time of the French Revolution by Rebecca L. Spang (2017; Harvard University Press) Patrick Hyde for The Los Angeles Review of Books (December 4, 2015). Diane Coyle for The Enlightened Economist (November 27, 2015). Ruth Scurr for Spectator (February 21, 2015). Duncan Kelly for Financial Times (January 31, 2015). Loan Sharks: The Birth of Predatory Lending by Charles R. Geisst (2017; Brookings) Lawrence De Maria for Washington Independent Review of Books (May 18, 2017). Peter Coy for Bloomberg BusinessWeek (April 5, 2017). Economic Thought: A Brief History by Heinz D. Kurz (2017; Columbia University Press) Brenda Jubin for Investing.com (May 18, 2017). The Price for Their Pound of Flesh: The Value of the Enslaved, from Womb to Grave, in the Building of a Nation by Daina Berry (2017; Beacon Press) Wiley Hall, 3rd for Washington Post (April 14, 2017). Manisha Sinha for Boston Globe (February 10, 2017). 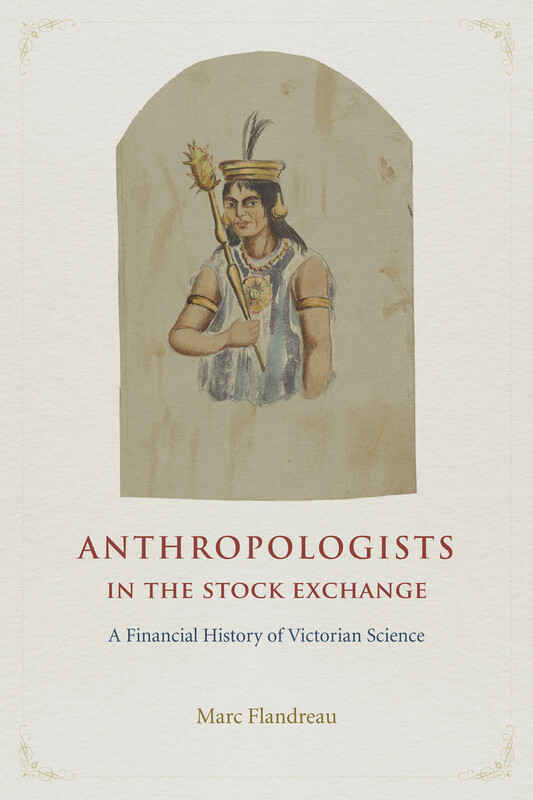 Anthropologists in the Stock Exchange: A Financial History of Victorian Science by Marc Flandreau (2016; University of Chicago Press) Tobias Straumann for Neue Zürcher Zeitung (March 10, 2017). Ira Bashkow for Times Literary Supplement (February 22, 2017) – (reproduced verbatim and with free access in History and Anthropology Newsletter). Fraud: An American History from Barnum to Madoff by Edward J. Balleisen (2017; Princeton University Press) Dean Jobb for Chicago Review of Books (February 17, 2017). Melissa Jacoby for Credit Slips (January 23, 2017). for Kirkus (December 19, 2016). for Publisher’s Weekly (December 19, 2016). The Great Leveler: Violence and the History of Inequality from the Stone Age to the Twenty-First Century by Walter Scheidel (2017; Princeton University Press) George F. Will for The Washington Post and National Review (February 3, 2017). Gregory Clark forThe Wall Street Journal (January 20, 2017). David Talbot for San Francisco Chronicle (January 19, 2017). Eduardo Porter for New York Times (December 6, 2016). for Kirkus (December 5, 2016). 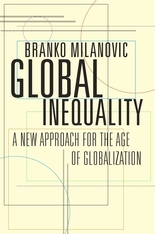 Global Inequality: A New Approach for the Age of Globalization by Branko Milanovic (2016; Harvard University Press) Miles Corak for The American Prospect (May 18, 2016). Marshall Steinbaum for The Boston Review (May 11, 2016). Vicky Pryce for Prospect Magazine (April 21, 2016). Richard N. Cooper for Foreign Affairs (April 14, 2016). Martin Wolf for The Financial Times (April 14, 2016). for The Economist (April 2, 2016). Dean Baker for The Huffington Post (March 16, 2016). Anthony Annett for IMF’s Finance & Development (March 2016, Vol. 53, No. 1). for Kirkus (February 15, 2016). Diane Coyle for Democracy: A Journal of Ideas (Summer 2016, No. 41). An Extraordinary Time: The End of the Postwar Boom and the Return of the Ordinary Economy by Marc Levinson (2016; Basic Books) Robert J. Samuelson for The Washington Post (December 14, 2016). James Livingston for New Republic (November 19, 2016). Peter Coy for Bloomberg BusinessWeek (November 3, 2016). Robert J. Samuelson for The Washington Post (October 30, 2016). for Publisher’s Weekly (September 26, 2016). for Kirkus (September 8, 2016). The Man Who Knew: The Life and Times of Alan Greenspan by Sebastian Mallaby (2016; Penguin Press) Justin Fox for The New York Times (October 31, 2016). Stephen King for The Times (October 22, 2016). Randall S. Kroszner for The Wall Street Journal (October 17, 2016). for The Economist (October 1, 2016). Tyler Cowen for Marginal Revolution (September 29, 2016). for Kirkus (August 15, 2016). for Publisher’s Weekly (August 15, 2016). A Culture of Growth: The Origins of the Modern Economy by Joel Mokyr (2016; Princeton University Press) Ana Swanson for The Washington Post’s Wonkblog (October 28, 2016). Diane Coyle for The Financial Times (October 21, 2016). Deirdre N. McCloskey for Prospect Magazine (September 15, 2016). for Publisher’s Weekly (July 18, 2016). 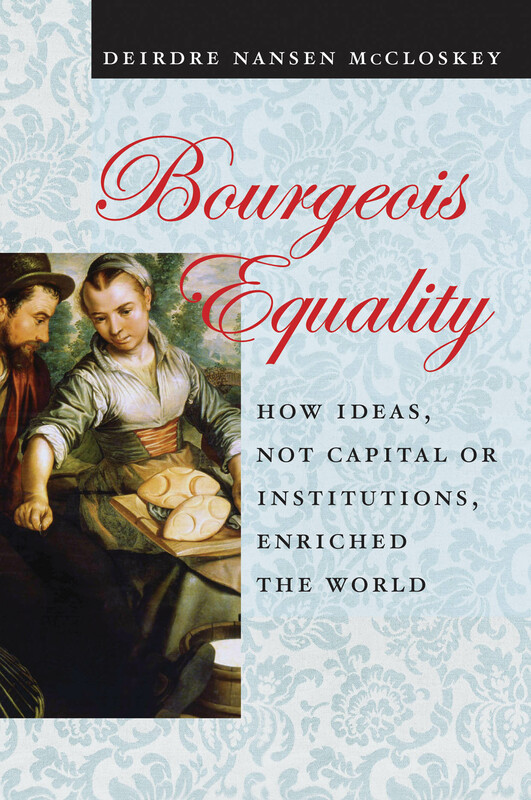 Bourgeois Equality: How Ideas, Not Capital or Institutions, Enriched the World by Deirdre M. McCloskey (2016; University of Chicago Press) David S. D’Amato for Libertarianism (August 4, 2016). Ian Lindquist for The Washington Free Beacon (June 12, 2016). Jeffrey Collins for The Times Literary Supplement (July 6, 2016). John Gray for New Statesman (June 1, 2016). Jonathan Steinberg for The Spectator (May 21, 2016). Matt Ridley for The Times (April 16, 2016). Alan Ryan for Literary Review (April, 2016). Diane Coyle for Financial Times (April 8, 2016). Bourgeois Dignity: Why Economics Can’t Explain the Modern World by Deirdre M. McCloskey (2010; University of Chicago Press) Evan Davis (@EvanHD) in BBC Radio 4’s “Analysis” (May 26, 2014). Virginia Postrel for Bloomberg View (August 2, 2012). Diane Coyle for New Statesman (January 20, 2011). James C. Bennett for National Review (December 31, 2010). Josh Rothman for The Boston Globe (December 7, 2010). The Bourgeois Virtues: Ethics for an Age of Commerce by Deirdre M. McCloskey (2006; University of Chicago Press) Dalibor Rohac for The Wall Street Journal (January 27, 2012). Alan Ryan for The New York Review of Books (December 21, 2006). Jim Holt for The New York Times (July 30, 2006). David Boaz for The Guardian (July 15, 2006). Andrea Gabor for Strategy+Business (May 30, 2006). for Publisher’s Weekly (April 3, 2006). The Nobel Factor: The Prize in Economics, Social Democracy, and the Market Turn by Avner Offer & Gabriel Söderberg (2016; Princeton University Press) Jeremy Venook for The Atlantic (October 9, 2016). Edward Glaeser for The Wall Street Journal (October 9, 2016). Stephen Kinsella for The Irish Economy (October 9, 2016). Justin Fox for Bloomberg View (October 6, 2016). The Power of a Single Number: A Political History of GDP by Philipp Lepenies (2016; Columbia University Press) Richard N. Cooper for Foreign Affairs (August 10, 2016). Sonu Chandiram for BizIndia (June 1, 2016). for Publisher’s Weekly (May 1, 2016). Unequal Gains: American Growth and Inequality since 1700 by Peter H. Lindert & Jeffrey G. Williamson (2016; Princeton University Press) Edward Chancellor for Reuters (July 22, 2016). for Kirkus (May 1, 2016). Alana Semuels for The Atlantic (April 25, 2016). Claude Ury for Library Journal (April 7, 2016). 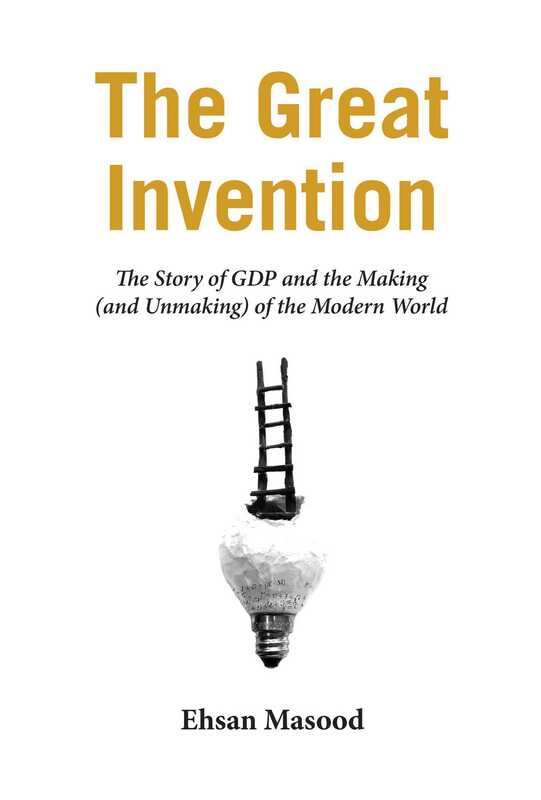 The Great Invention: The Story of GDP and the Making and Unmaking of the Modern World by Ehsan Masood (2016; Pegasus Books) N. Gregory Mankiw for Science (July 22, 2016). Diane Coyle for Nature (June 23, 2016). Roger Lowenstein for Wall Street Journal (June 15, 2016). for Kirkus (June 15, 2016). Chris Lehman for In These Times (June 6, 2016). Simon Constable for Forbes (June 1, 2016). for Publisher’s Weekly (June 1, 2016). The Power and Independence of the Federal Reserve by Peter Conti-Brown (2016; Princeton University Press) Philip Augar for Financial Times (June 15, 2016). Adam Bouyamourn for The National (April 7, 2016). Jon Hartley for Forbes (March 31, 2016). Kevin A. Hassett for Wall Street Journal (March 4, 2016). for Kirkus (February 9, 2016). The Gunpowder Age: China, Military Innovation, and the Rise of the West in World History by Tony Andrade (2016; Princeton University Press) Thomas E. Ricks for Foreign Policy (May 23, 2016). Timothy Brook for Literary Review (May, 2016). Jonathan Mirsky for Times Higher Education (February 4, 2016). for Kirkus (February 1, 2016). Jeffrey Wasserstrom for Wall Street Journal (January 29, 2016). Francis P. Sempa for Asian Review of Books (December 29, 2015). Tyler Cowen for Marginal Revolution (October 18, 2015). Illiberal Reformers: Race, Eugenics, and American Economics in the Progressive Era by Thomas C. Leonard (2016; Princeton University Press) Steven F. Hayward for National Review (June 13, 2016). Deirdre Nansen McCloskey for Reason (June 12, 2016). Walter Russell Mead for Foreign Affairs (April 14, 2016). David Oshinsky for The New York Times (March 14, 2016). Amity Schlaes for The Wall Street Journal (February 26, 2016). Herbert Hovenkamp for The New Rambler (February 10, 2016). David Bernstein for The Washington Post (February 4, 2016). Tyler Cowen for Marginal Revolution (January 28, 2016). 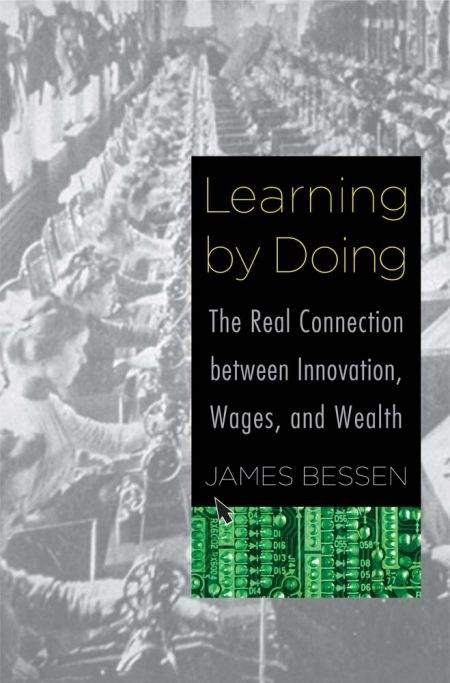 Learning by Doing: The Real Connection between Innovation, Wages, and Wealth by James Bessen (2015; Princeton University Press) Diane Coyle for The Enlightened Economist (October 23, 2015). Mike Masnick for Techdirt (October 8, 2015). Marc Sollinger for Innovation Hub (June 10, 2015). Timothy B. Lee for Vox.com (May 21, 2015). Tamar Jacoby for Wall Street Journal (May 20, 2015). Walter Frick for Harvard Business Review (March, 2015). Science, the State and the City: Britain’s Struggle to Succeed in Biotechnology by Geoffrey Owen and Michael M. Hopkins (2016; Oxford University Press) David Edgerton for Financial Times (April 29, 2016). Money Changes Everything: How Finance Made Civilization Possible by William N. Goetzmann (2016; Princeton University Press) Felix Martin for The New York Times (June 24, 2016). Edward Chancellor for The Wall Street Journal (May 27, 2016). Bourree Lam for The Atlantic (May 25, 2016). Pietra Rivoli for The Financial Times (May 12, 2016). Brenda Jubin for Investing.com (May 11, 2016). for Kirkus (April 11, 2016). 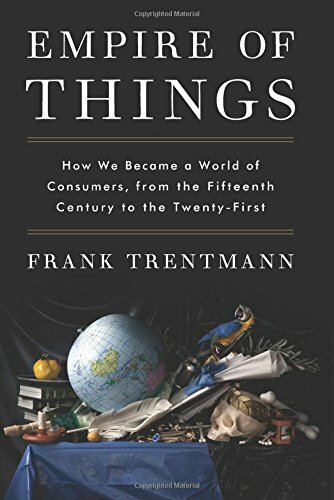 Empire of Things: How We Became a World of Consumers, from the Fifteenth Century to the Twenty-First by Frank Trentmann (2016; Allen Lane) Edward Rothstein for The Wall Street Journal (April 1, 2016). for Publishers Weekly (February 22, 2016). Ian Thomson for The Guardian (February 9, 2016). Rebecca Spang for The Financial Times (January 29, 2016). Andrew Neather for The Evening Standard (January 29, 2016). Marcus Tanner for The Independent (January 22, 2016). Saul Austerlitz for The National (January 7, 2016). 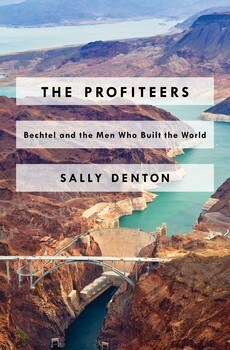 The Profiteers: Bechtel and the Men Who Built the World by Sally Denton (2016, Simon & Schuster) Chuck Twardy for Las Vegas Weekly (March 30, 2016). Christine Spolar for Financial Times (March 24, 2016). Matthew Rees for The Wall Street Journal (March 8, 2016). T. J Stiles for The New York Times (March 8, 2016). Priyanka Kumar for The Santa Fe New Mexican (February 26, 2016). for Kirkus (February 16, 2016). for Publishers Weekly (February 16, 2016). 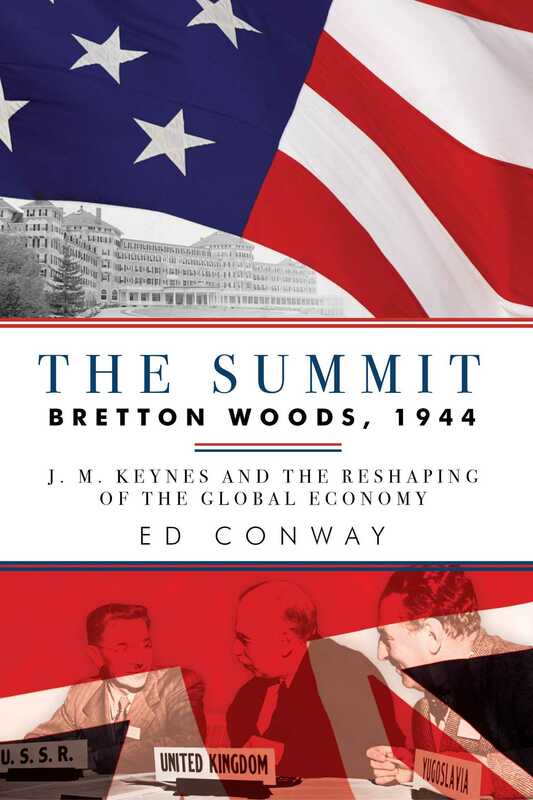 The Money Makers: How Roosevelt and Keynes Ended the Depression, Defeated Fascism, and Secured a Prosperous Peace by Eric Rauchway (2015, Basic Books) Betsy Beasley and David Stein for The New Books Network (February 22, 2016). Robert Brent Toplin for History News Network (December 15, 2015). John Tamny for Real Clear Markets (December 1, 2015). Jeffry Frieden for The New York Times (November 20, 2015). Charles R. Morris for The Wall Street Journal (November 20, 2015). for The Economist (October 31, 2015). for Kirkus (October 27, 2015). for Publishers Weekly (October 1, 2015). The Rise and Fall of American Growth: The U.S. Standard of Living since the Civil War by Robert J. Gordon (2016, Princeton University Press) William D. Nordhaus for The New York Review of Books (August 18, 2016). David Smith for The Sunday Times (January 31, 2016). Tyler Cowen for Foreign Affairs (January 28, 2016). Martin Ford for The Huffington Post (January 28, 2016). for Kirkus (January 26, 2016). Paul Krugman for The New York Times (January 25, 2016). Lawrence Summers for Prospect (January 21, 2016). Eduardo Porter for The New York Times (January 19, 2016). Robert J. Samuelson for The Washington Post (January 17, 2016). for The Economist (January 9, 2016). David Wessel for The Wall Street Journal (January 7, 2016). Diana Coyle for Enlightenment Economics (December 31, 2015). How the Internet Became Commercial: Innovation, Privatization, and the Birth of a New Network by Shane Greenstein (2015, Princeton University Press) Marc Levinson for The Wall Street Journal (November 23, 2015). Carmen Nobel for Forbes (November 2, 2015). for Kirkus (November 1, 2015). Tyler Cowen for Marginal Revolution (October 23, 2015). The Little Big Number: How GDP Came to Rule the World and What to Do about It by Dirk Philipsen (2015, Princeton University Press) Marc Levinson for Strategy+Business (November 2, 2015). Rama Gopal for Economic and Political Weekly (September 12, 2015). Katy Lederer for The New Yorker (September 9, 2015). Aarati Krishnan for The Hindu Business Line (August 9, 2015). Glenn C. Altschuler for The Huffington Post (June 17, 2015). for The Economist (June 10, 2015). Kevin Hartnett for The Boston Globe (May 13, 2015). Mass Flourishing: How Grassroots Innovation Created Jobs, Challenge, and Change by Edmund Phelps (2013, Princeton University Press) Benjamin M. Friedman for The New York Review of Books (November 19, 2015). Paul DeRosa for The American Interest (April 20, 2014). Jerry Bowyer for Forbes (January 20, 2014). Edward Glaeser for The Wall Street Journal (October 18, 2013). Samuel Brittan for Financial Times (August 23, 2013). Gilbert T. Sewall for Publishers Weekly (July 29, 2013). 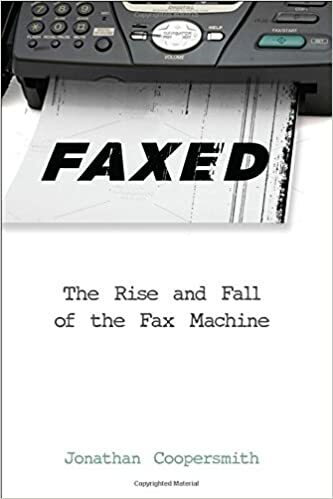 Faxed: The Rise and Fall of the Fax Machine by Jonathan Coopersmith (2015, John Hopkins University Press) Conor Farrington for Times Literary Supplement (September 18, 2015). Carla Nappi for New Books in History (podcast, 60 min) (July 17, 2015). Chris Baraniuk for BBC Future (February 25, 2015). Connor Farrington for The Times Literary Supplement (September 18, 2015). 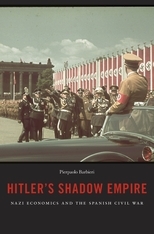 Hitler’s Shadow Empire: Nazi Economics and the Spanish Civil War by Pierpaolo Barbieri (2015, Harvard) Richard J. Evans for London Review of Books (November 5, 2015). Stephen Schwartz for The Weekly Standard (October 26, 2015). Elizabeth Nicholas for The Huffington Post (April 25, 2015). Steve Donoghue for Open Letters Monthly (April 5, 2015). Australia’s Boldest Experiment: War and Reconstruction in the 1940s by Stuart Macintyre (2015, NewSouth Publishing) David Stephens for Honest History (August 19, 2015). Beverley Kingston for The Sydney Morning Herald (August 1, 2015). Hannah Forsyth for Inside Story (June 15, 2015). Ross Fitzgerald for The Australian (June 6, 2015). Why Did Europe Conquer the World? by Philip T. Hoffman (2015, Princeton University Press) Robert Fulford for National Post (August 22, 2015). G. John Ikenberry for Foreign Affairs (August 13, 2015). Dietz Vollrath for The Growth Economics Blog (August 12, 2015). [with thanks to @pseudoerasmus on Twitter]. Martin Vander Weyer for The Telegraph (July 30, 2015). Edward Rothstein for The Wall Street Journal (July 17, 2015). Africa: Why Economists Get It Wrong by Morten Jerven (2015, Zed) Laura Seay and Kim Ye Dionne for The Washington Post (September 11, 2015). Katrina Manson for Financial Times (September 6, 2015). for The Economist (July 25, 2015). Alex de Waal for African Arguments (June 24, 2015). Making Money: Coin, Currency, and the Coming of Capitalism by Christin Desan (2014, OUP) Andrew Allentuck for Financial Post (May 1, 2015). for The Economist (Feruary 14, 2015). Marshall Poe for New Books In History (podcast, 60 min) (no date). 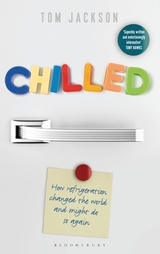 Chilled: How Refrigeration Changed the World and Might Do So Again by Tom Jackson (2015, Bloomsbury) Roger Lewis for The Daily Mail (August 7, 2015). Michael Bywater for The Spectator (August 1, 2015). India Ross for The Financial Times (July 17, 2015). James McConnachie for The Sunday Times (July 12, 2015). Peter Forbes for The Independent (July 10, 2015). Jimmy Stein for New Books In History (podcast, 60 min) (no date). 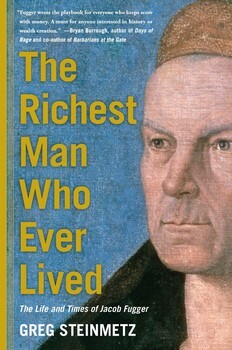 The Richest Man Who Ever Lived: The Life and Times of Jacob Fugger by Greg Steinmetz (2015, Simon and Schuster) Carlos Lozada for The Washington Post (August 6, 2015). Jerry Z. Muller for The New York Times (July 31, 2015). Edward Chancellor for The Wall Street Journal (July 29, 2015). for The Economist (July 31, 2015). Edward Cuddihy for The Buffalo News (July 26, 2015). Combat-Ready Kitchen: How the U.S. Military Shapes the Way You Eat by Anastacia Marx de Salcedo (2015, Current) Arthur Herman for The Wall Street Journal (August 7, 2015). Sarah Begley for Time (August 6, 2015). Jeb Sharp for PRI (August 4, 2015). Nadia Whitehead for NPR (July 31, 2015). Alyssa Goldberg for Bon Appétit (July 15, 2015). Revolutions from Grubb Street: A History of Magazine Publishing in Britain by Howard Cox and Simon Mowatt (2014, OUP) Tony Quinn for The Financial Times (December 5, 2014). Laurel Brake for Times Literary Supplement (September 12, 2014). The Magforum blog (May 28, 2014). David Hepworth for InPublishing (May 19, 2014). [with thanks to Simon Mowatt]. The Summit: The Biggest Battle of the Second World War – Fought Behind Closed Doors by Ed Conway (2015, Pegasus) Claire Jones for Financial Times (June 15, 2015). Matthew Bishop for The New York Times (March 16, 2015). Paul Cleary for The Australian (September 19, 2014). Peter Preston for The Guardian (June 15, 2014). Chris Blackhurst for The Independent (May 22, 2014). Hall of Mirrors: The Great Depression, The Great Recession, and the Uses- and Misuses- of History by Barry Eichengreen (2015, OUP) Jonathan Kirshner for Los Angeles Review of Books (April 23, 2015). Andrew Allentuck for Financial Post (April 16, 2015). Marc Levinson for Strategy+Business (April 1, 2015). Roger Lowenstein for The Wall Street Journal (March 16, 2015). Neil Irwin for The New York Times (January 10, 2015). Our Kids: The American Dream in Crisis by Robert D. Putnam (2015, Simon & Schuster) Nicholas Lemann for The New York Review of Books (May 21, 2015). Richard Reeves for The Guardian (April 20, 2015). for The Economist (March 21, 2015). Interview by Hope Reese for The Atlantic (March 18, 2015). Jill Lepore in The New Yorker (March 16, 2015) [Thanks to Joshua Rosenbloom]. Emily Badger for The Washington Post (March 6, 2015) [with thanks to Fran Beltrán on Twitter]. Francis Fukuyama in The Financial Times (March 6, 2015). Jill Lepore in The New York Times (March 4, 2015). The Lion Wakes: A Modern History of HSBC by David Kynaston and Richard Roberts (2015, Profile Books) Peter Thal Larsen for Reuters’ Breakingviews (February 27, 2015) [with thanks to Andrew Smith’s The pastspeaks.com]. John Plender in The Financial Times (March 11, 2015). Cash Box: The Invention and Globalization of the ATM by Tom Harper and Bernardo Bátiz-Lazo (2013, Networld Media) Daniel Littman for the Federal Reserve Bank of Cleveland’s Forefront (February 25, 2015). Richard Buckle for ATM Marketplace (May 2, 2013). The Atlantic’s Object Lessons (March 26, 2015). The Cambridge Economic History of Australia by Simon Ville and Glenn Withers (eds.) (2015, Cambridge University Press) Simon Ville in a joint publication of The Conversation (October 30, 2014) and The World Economic Forum’s Agenda (November 3, 2014) [Thanks to The Exchange’s Over the Counter: Issue No. 10]. John Edwards Australia Financial Review (June 12, 2015). Empire of Cotton: A Global History by Sven Beckert (2014, Knopf Doubleday) Wendy Smith in The Boston Globe (December 18, 2014). Daniel Walker Howe in The Washington Post (January 9, 2015). Andrew McKie in the Wall Street Journal (January 17, 2015). See links to Slate, New York Times, The Atlantic and The Economist in The Past Speaks [hats off as well to BHC’s The Exchange]. Citizen Coke: The Making of Coca-Cola Capitalism by Bartow Elmore (2014, W. W. Norton) Marc Lenvinson in The Wall Street Journal (November 21, 2014). Beth Macy in The New York Times (January 2, 2015). Fragile by Design: The Political Origins of Banking Crises and Scarce Credit by Charles W. Calomiris & Stephen H. Haber (2014, Princeton University Press) Vicky Pryce in The Independent (March 21, 2104). Liquat Ahamed in the New York Times (April 11, 2014). The Wall Street Journal’s “Notable and Quotable” (June 24, 2014). Warren Coats in the Cayman Financial Review (November 3, 2014). Martin Sandbu (March 23, 2014) and Martin Wolf (November 28, 2014) in the Financial Times. The Half Has Never Been Told: Slavery and the Making of American Capitalism by Edward E. Baptist (2014, Basic Books) Michael Schulson for Salon (November 10, 2014). Elizabeth Downing Taylor for Washington Independent Review of Books (November 1, 2014). Eric Foner for The New York Times (October 3, 2014). Fergus M. Bordewich for The Wall Street Journal (September 5, 2014). Hector Tobar for Los Angeles Times (September 4, 2014). On September 12, 2014, The Exchange – BHC Blog collated links to the review of Baptist’s book by “The Economist” (September 4, 2014) and follow up controversy. The Cambridge History of Capitalism by Larry Neal and Jeffrey Williamson (eds.) (2014, Cambridge University Press) The Economist (November 1, 2014). Gentlemen Bankers by Susie J. Pak (2013, Harvard University Press). John S. Gordon in the Wall Street Journal (August 29, 2013). 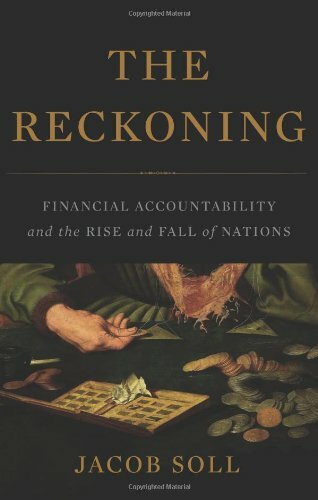 The Reckoning: Financial Accountability and the Rise and Fall of Nations by Jacob Soll (2013, Basic Civitas Books) Jacob Soll in NY Times Blog (April 27, 2014). 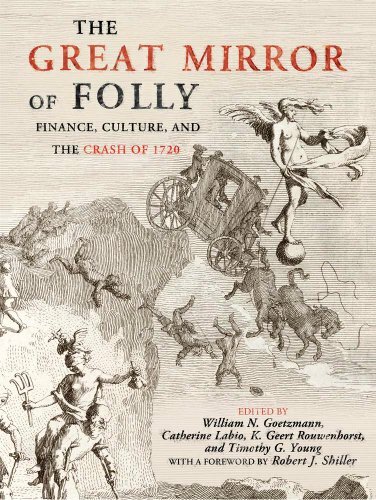 The Great Mirror of Folly: Finance, Culture, and the Crash of 1720 by William Goetzmann, Catherine Labio, K. Geert Rouwenhorst and Timothy Young (eds)(2013, Yale University Press) Jason Zweig (@jasonzweigwsj) in MoneyBeat / Wall Street Journal (January 10, 2013). James Grant in the Wall Street Journal (January 3, 2014). The Making of the Modern British Home: The Suburban Semi and Family Life between the Wars by Peter Scott (2013, Oxford University Press) Grace Lees-Maffei in the Times Higher Education (December 12, 2013). Marshal Zeringue in The Page 99 Test (January 4, 2014). 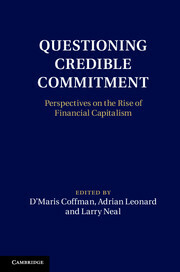 Questioning Credible Commitment: Perspectives on the Rise of Financial Capitalism by D’Maris Coffman, Adrian Leonard & Larry Neal (eds) (2013, Cambridge University Press) “Free Exchange” in The Economist (December 4, 2013). Interview by Marshall Auerback at The Institute for New Economic Thinking (October 21, 2013). 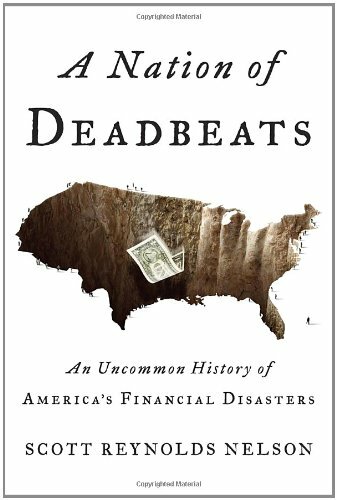 A Nation of Deadbeats: An Uncommon History of America’s Financial Disasters by Scott Reynolds Nelson (2012; Vintage) Tim Murphy for Mother Jones (January 15, 2013). for The Economist (November 3, 2012). Steve Weinberg for USA Today (September 9, 2012). for Kirkus (September 5, 2012). Andrew Rosenbaum for New York Journal of Books (September 4, 2012). for Publisher’s Weekly (September 4, 2012). Network Nation: Inventing American Telecommunications by Richard R. John (2010, Belknap Press) Tim Wu in New Republic ( May 19, 2011) and follow up debate. Gill Press in Ubiquity – ACM (June, 2011). (Translated by Arthur Goldhammer) (2014, Harvard University Press) Rana Foroohar (@RanaForoohar) in Time Magazine on May 8, 2014. Evan Davies (@EvanHD) in The Spectator compares and contrasts the views of Deirdre McCloskey and Thomas Piketty (May 24, 2014). 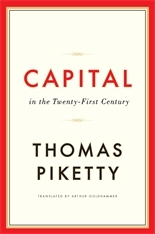 A free download of McCloskey’s detailed review of Piketty’s in the Erasmus Journal of Philosophy and Economics (Circulated 2015-02-04). Masters of the Post: The Authorized History of the Royal Mail by Duncan Campbell-Smith (2011, Penguin Books) Michael Binyon in The Times on November 5, 2011. Ian Jack in The Guardian on November 22, 2011. Sinclair McKay in The Telegraph on December 5, 2011. Jeremy Black in BBC History magazine on February 1, 2012. The Cambridge Economic History of Modern Britain by Roderick Floud and Paul Johnson (eds.) (2003, Cambridge University Press) (1st edition) Deirdre McCloskey in The Times Higher Education (January 14, 2004). The Making of Global Capitalism: The Political Economy of American Empire by Sam Gindin and Leo Panitch (2012, Verso Books) Rowena Gray in the Times Higher Education (December 13, 2013).